The Ontario Legislature resumed sitting in fiery style Monday morning after breaking from a rare midnight sitting, during which Premier Doug Ford vowed to "cut through the political games and delay tactics" as his party aims to pass a bill that would cut Toronto city council nearly in half. The Ontario Legislature resumed sitting in fiery style Monday morning after breaking from a rare midnight session, during which Premier Doug Ford vowed to "cut through the political games and delay tactics" as his party aims to pass a bill that would cut Toronto city council nearly in half. Ford promised to do "whatever it takes" to address the "crumbling infrastructure right underneath our feet," shortly before the marathon debate of Bill 31 concluded after seven hours. "Our plan would replace a broken City Hall, one where meetings can last for days and nothing gets done — a system that isn't working," he said during the session. MPPs returned to the legislature at 10:30 a.m. ET for an explosive two-hour question period, with the PCs and New Democrats trading barbs. 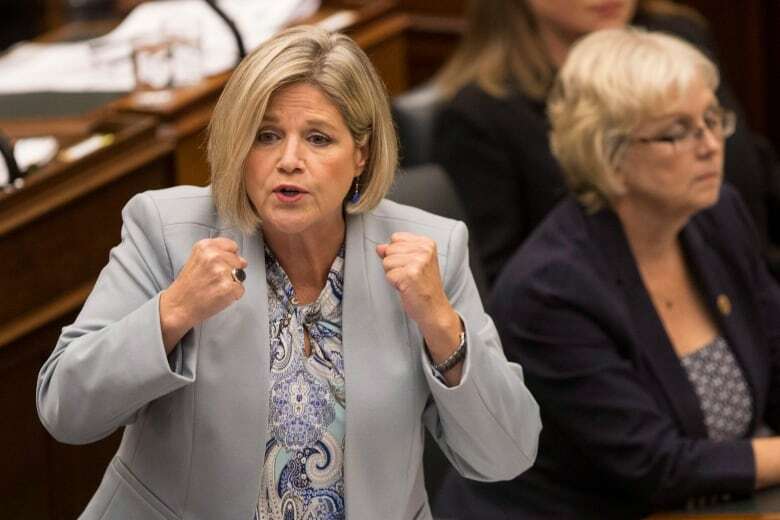 Official Opposition Leader Andrea Horwath accused the premier of barricading himself in Queen's Park in the "dead of night" to pursue his own personal agenda and "fixation" with one municipal election. "The people of this province need good jobs. Instead, they get the premier's grudges with Toronto city councillors," Horwath said. Ford fired back, explaining the uncommon weekend sitting at Queen's Park is "about protecting the people of Toronto" and not settling political scores. "It's about empowering people instead of the government," he said during question period. "It's about reducing the size and cost of government." Bill 31, introduced and passed through first reading with overwhelming support from a Progressive Conservative majority last week, would see the number of councillors in Canada's largest city dramatically slashed to 25 from 47. It aims to align the city's municipal ward boundaries with provincial and federal electoral districts — with a little more than a month to go before Toronto's municipal election. The bill was first debated Saturday, and the lieutenant-governor granted the government's request to reconvene the house at 12:01 a.m. ET Monday. This was to allow the Tory government to reach the needed 6.5 hours on this stage of debate to push the legislation forward. It's been more than 20 years since Queen's Park sat through a midnight sitting. The Progressive Conservatives, under then leader Mike Harris, opted to pull an all-nighter to push through the amalgamation of Toronto, York, Etobicoke, East York, Scarborough and North York. 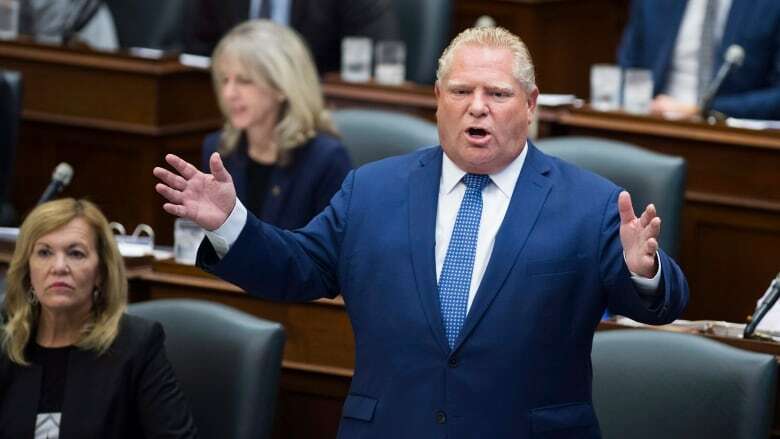 Ford's PC government hopes to have the new legislation, called the "Efficient Local Government Act," passed by the end of the week. Ford has consistently maintained that halving Toronto city council is necessary to streamline decision-making and save taxpayers money. "We are the only ones listening to the people — not the disruptors, not the professional activists that we've seen over the last few days," he said during the debate. "The people are behind us, and I can tell you my friends, we will never, ever back down." The PCs cited the need for urgent action to provide "greater certainty for everyone ... to ensure that the election proceeds," said Municipal Affairs Minister Steve Clark in justifying the late-night sitting. 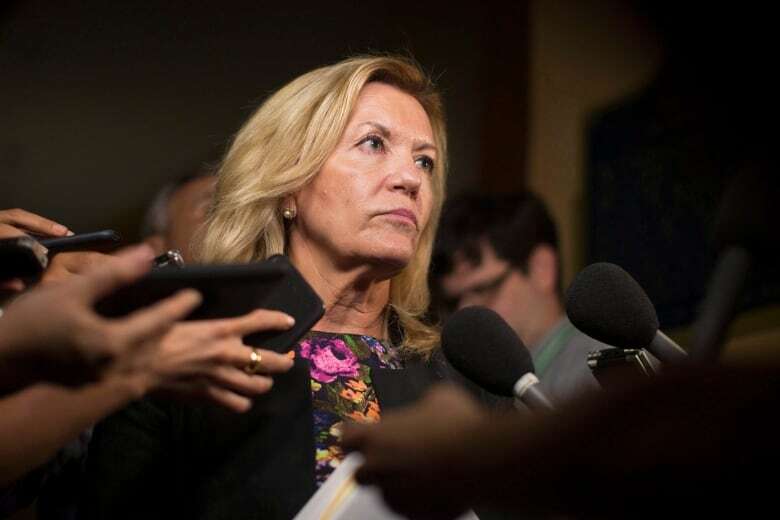 Christine Elliott, the deputy premier, also pointed out that "it's important for elected representatives to be making the law." The PCs and New Democrats have been battling over how quickly the bill should be passed. The NDP has been attempting to delay the process by proposing amendments, making motions for adjournment and introducing bills with long names to eat up time, since Ford invoked the notwithstanding clause last Wednesday. The unprecedented move, which insulates it from judicial review, has never been used before in Ontario. This constitutional provision is an attempt to override a Superior Court judge's ruling that found a previous iteration was "unconstitutional," violating the rights of candidates and voters in Toronto's upcoming vote. Critics have condemned the move, saying the clause was not designed to deal with this kind of issue. 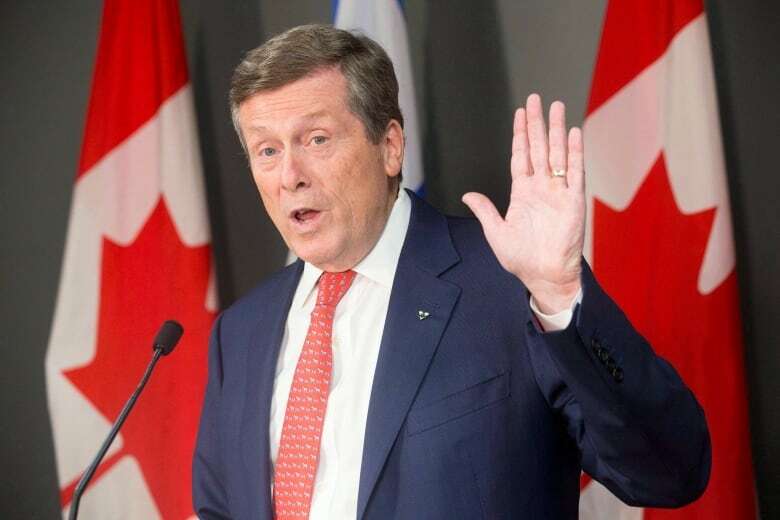 Mayor John Tory called it a "gross overreach" of the province's power, vowing to fight the move during a Monday news conference about his transit network plan. "What's happened here is an unnecessary series of actions that have caused a degree of chaos that I don't think people like, and they want to see it remedied," said Tory. "All the people want now is certainty because they value elections, they value their charter rights, they value the government structure of the people of Toronto." Liberal legislator Mitzie Hunter echoed this in the debate, pointing out the premier's actions have "created unprecedented chaos in our city, in our province and beyond." Ford defended the clause during question period, saying "we were able to use it, we have the right to use it and we will use it." During an emergency council meeting last week, Toronto city clerk Ulli Watkiss said the confusion caused by the province's legal battle over the original bill, and the introduction of the second bill, had reached a "tipping point." With each passing day, Watkiss warns, it becomes "virtually impossible" to hold a fair and accessible municipal vote. Ontario government house leader Todd Smith told reporters outside the legislature that despite the political and legal wrangling, it wants to provide certainty to Toronto. The PCs have assisted the city clerk with provincial resources to ensure the Oct. 22 election "can go on without a hitch," he said. 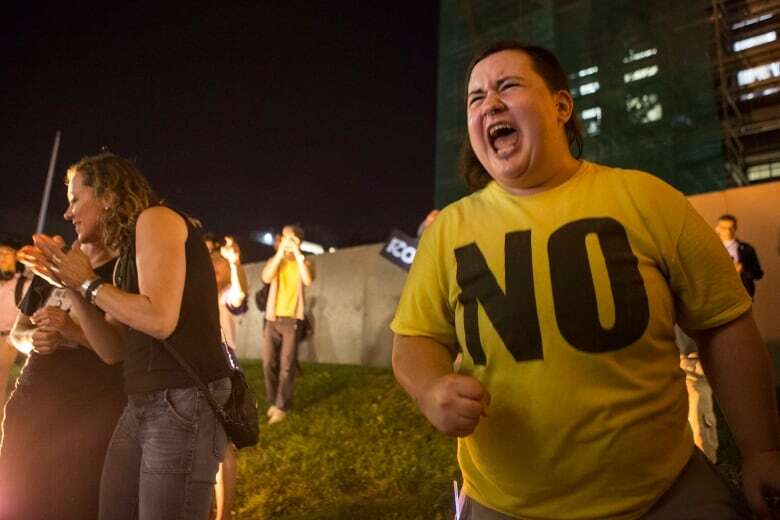 Throughout the night, hordes of protesters shouted to be allowed inside the Ontario Legislature as they voiced their opposition to the bill that has thrown the Oct. 22 election into chaos. Cries of "shame, shame" heckled PC legislators, disrupting the House proceedings until the Speaker put a stop to it by clearing the public galleries around 2 a.m.
Smith, also Bay and Quinte MPP, called the raucous display inside the public gallery "unacceptable" and supported the Speaker's decision. "Everyone has the right to protest ... But we shouldn't be impeded by protestors in making sure that we're getting the province's business done," he said following the debate. People who had lined up to observe the overnight debate expressed their outrage at being shut out of the process, chanting "Let us in!" and "Our city, not Ford's!" as police officers stood in front of the doors. The commotion could be heard from inside the legislator at times, and dozens of demonstrators still lingered as dawn broke. "How can you be here for the people when the people outside are banging to get into this building and not able to get into the building as a result of your actions?" NDP House Leader Gilles Bisson asked. Meanwhile, Horwath briefly left the debate to address the crowd, telling them she was proud to see so many people rally to defend charter rights at such an unusual time. She pledged to keep fighting the PC government's decision to push through the legislation, saying the interference in the upcoming election has a "chilling effect on our democracy." "The reality is this government behaved inappropriately, rammed this change forward without any kind of consultation while the elections were already underway," said Horwath. Green Party Leader Mike Schreiner explained the premier's actions have put the municipal election in jeopardy by "trampling on local democracy." "The Conservatives are acting with impunity, trying to suspend people's Charter rights under the cover of darkness while Ontarians are asleep," he said in a news release. The government finds itself crunched for time at the legislature this week. The International Plowing Match in Chatham-Kent, Ont., is set for Tuesday, and each year, Queen's Park closes for a day so all politicians can attend. MPPs unanimously agreed that the House will not sit that day so they can attend the annual event. "I think it's really important that our new government and all members get an opportunity to thank farmers for feeding our city and ensuring we have a vibrant economy," said Smith. A final vote on the bill is expected to take place Thursday after Ford returns from meeting with federal officials in Washington for an update on NAFTA negotiations.